We specialize in both commercial janitorial services and carpet, rug and upholstery cleaning for homes and businesses. We are certified professional cleaners by the Institute of Inspection Cleaning and Restoration. As our name implies, we put customer satisfaction first every time! 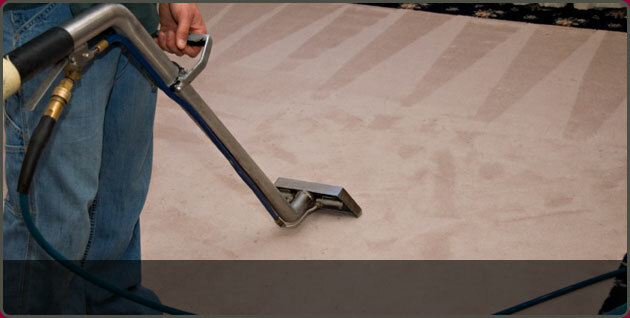 Wall–to–Wall Carpet Cleaning: This is our signature service to keep your carpets looking and smelling their best. We're experts at removing oil, grease, coffee, food stains and more from your carpets using safe, effective and environmentally–friendly techniques. We follow the stain removal with a disinfecting hot water steam and a neutralizing rinse to get rid of all cleaning solution residue. Our truck–mounted carpet cleaning equipment offers strong dirt–extraction power and can leave your carpet looking as good as new. We deep–clean high traffic areas and any other problem areas. Pet Stains: Pet stains can be some of the most stubborn, unsightly blemishes on a carpet or piece of furniture—made all the worse with the lingering odor. We can help you completely remove the stain, and remove any unwanted odor as well. Upholstery: Using special low moisture cleaning systems, [company name] will safely clean upholstery to keep it looking its very best and your furniture will be dry before we leave! We also specialize in cleaning upholstery made from microfiber fabrics, including acrylic, nylon, polyester, and rayon. Oriental and Area Rugs cleaning: Oriental and Area Rug Cleaning – We take special care to clean special rugs completely but safely. Customer First is the greater Oakland area's premier, full–service janitorial company. We clean your office building, retail building or other commercial property thoroughly and promptly. We can handle all of your business's cleaning needs, either one time or with regularly occurring appointments! From vacuuming and floor cleaning, to our specialty – carpet and upholstery cleaning — and window cleaning, we do it all! Our janitors are certified, knowledgeable and well–trained to assist with any cleaning you require. Contact us today to discuss your business's janitorial needs.